Sara joined Watsi on March 28th, 2013. 14 other people also joined Watsi on that day! 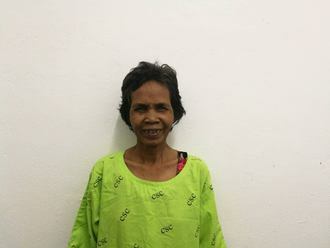 Sara's most recent donation supported Mom, a woman from Cambodia, to fund cataract surgery. Sara has funded healthcare for 13 patients in 3 countries. Mork is a 65-year old rice farmer from Kampong Chnang Province from Cambodia. 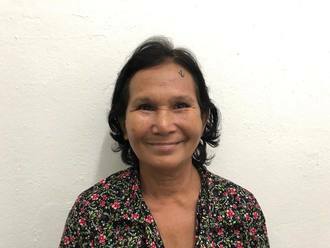 She has four children, three daughters and a son, and enjoys listening to the monks pray in her free time. Five years ago, Mork developed a pterygium in both eyes, causing her blurred vision, irritation, itching. Pterygiums are non-cancerous growths of the conjunctiva, a mucous layer that lubricates the eye. The growths occur when the conjunctiva is exposed to excessive sun damage and the cells grow abnormally over the pupil. She has difficulty seeing things clearly, recognizing faces, working, and going anywhere outside. 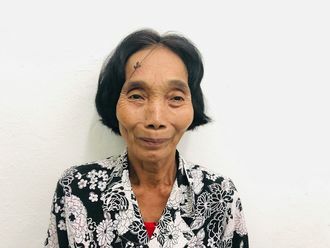 When Mork learned about our medical partner, Children's Surgical Centre, she traveled for three hours seeking treatment. Mork needs a surgical procedure to remove the abnormal conjunctiva from the cornea surface and replace it with a conjunctival graft to prevent recurrence. The total cost of her procedure is $201. This covers medications, supplies, and inpatient care for two days. The procedure is scheduled for February 6. 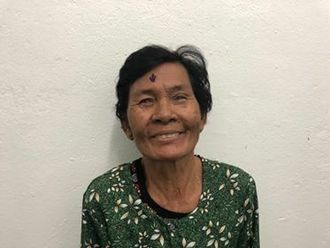 She says, "I hope that after my operations I will feel much better and can continue my work as a farmer again." 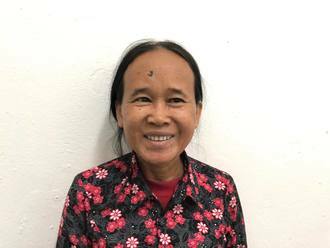 Ly is a vegetable farmer from Cambodia. He has two sons, three daughters, seven grandchildren. He likes to listen to monks pray on the radio and read about Buddha. A year ago, Ly developed a cataract in his right eye, causing him tearing, irritation, and a cloudy lens. He has difficulty seeing things clearly, recognizing faces, and going anywhere outside. When Ly learned about our medical partner, Children's Surgical Centre, he traveled for two hours seeking treatment. On November 12, doctors will perform a small incision cataract surgery and an intraocular lens implant in his right eye. After recovery, he will be able to see clearly. Now, he needs help to fund this $211 procedure. 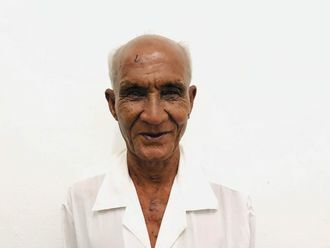 He says, "I hope my surgery is successful so I can see my grandkids' faces and I can read." 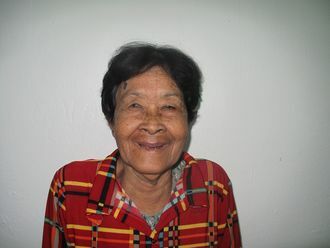 Uk is a grandmother from Cambodia. She is a corn and chili farmer. She has one son, two daughters, and six grandchildren. She likes to listen to monks pray on the radio. Five years ago, Uk developed a cataract in each eye, causing her blurry vision, irritation, clouded lenses, and photophobia. She has difficulty seeing things clearly, recognizing faces, and going anywhere outside. When Uk learned about our medical partner, Children's Surgical Centre, she traveled for one hour seeking treatment. On April 3, doctors will perform a phacoemulsification surgery and an intraocular lens implant in each eye. After recovery, she will be able to see clearly. Now, she needs help to fund this $398 procedure. 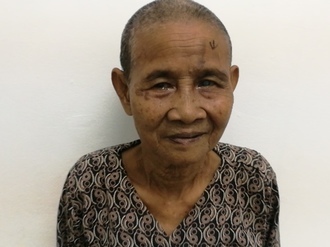 She says, "I hope my vision improves so that I can recognize my family member's faces again."